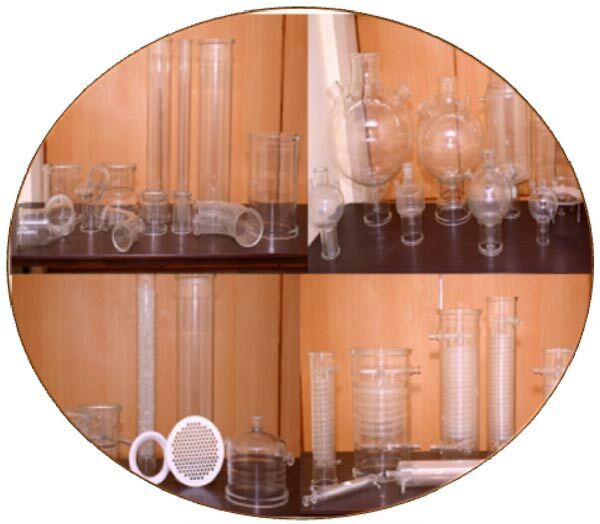 Shiva Scientific Glass Pvt Ltd, An ISO 9001:2015 certified company, is one of the largest manufacturers and exporters of Glass Equipments, Borosilicate Glass Process Equipment, Laboratory Glass wares in India. The company was incorporated in the year 1995 under the able Directorship of Mr. Shiva Prasad Nair, an energetic, young business man with an ambitious outlook. Under his able guidance the business has grown into one of the major manufacturing organization in the country. The company has a strong and efficient Technical / marketing team, and also have a dedicated team of Service Engineers who are always on the forefront for providing customer care service efficiently. As regards the quality and services offered 'Shiva' provide not only state of the art equipment but also the services of installation, operation and maintenance along with the expertise of our technical team. In the construction of glass process plants, PTFE as a material plays a crucial role. We thus engaged in the manufacturing of PTFE Components like SS Rod with PTFE coated stirrer, gaskets, 'O' rings, bellows etc. required for the construction of glass process plants. We also engaged in manufacturing complete range of Glass Plant supporting structure parts like Bends, Brackets, Support, Cross, Base, Tee, Vessel Holders etc. along with metal parts like Couplings, Chuck & Seal Assembly etc. require for Glass Assemblies. This `Single Window' facility available only with SHIVA would enable to maintain a thorough and uniform quality control at all levels. We also have excellent support from our strong technical and R&D team for providing package solutions. Our major customers are from Pharmaceuticals, Bulk Drugs, Petrochemicals, Herbal, Aromatic Chemicals, Pesticides, Research and development organizations, Pigment, Essential oil manufactures segments.